If you’ve heard of #AdoptDontShop, then you know exactly why it’s important to give abandoned animals a new home. These doggos and kitties that end up in animal shelters and adoption centers are the ones that need affection the most. So share some of that love will you? Head to these animal shelters in Chennai and change a pupper’s life! Started in 1999 by Padmavathy and her husband Narasimhamoorthy, the Trust is one of Chennai’s best known and most reputed organisations, taking animals off the street and giving them a better life. It’s not just about giving them a home, the Trust has a hospital that takes care of these abandoned animals, nursing them back to health and then giving them up for adoption. Relying mostly on donations from the people of Chennai, the Trust is constantly on a mission to save animals off the streets and take better care of them. This non-profit organisation and animal shelter helps homeless animals by taking them into the shelter and nursing them back to health, as well as finding them a new home. But more than that, they feed homeless animals, provide them with collars and identification tags and vaccinate and spay the stray animals. 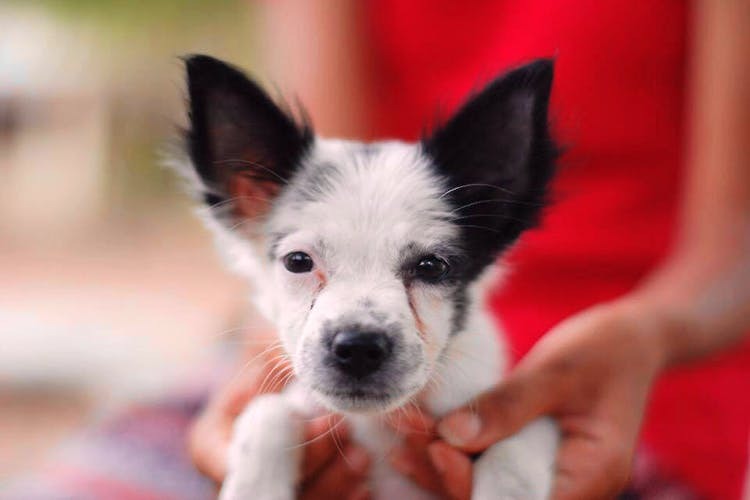 They have a very thorough adoption process, because it’s important that these dogs are given a good home so after meeting with the pet, the screening process, a home visit and signing of the adoption papers, Scan will also make visits regularly to check up on the animal in their new home. And moreover, they also provide veterinary services. Run by the Theosophical Society, the Besant Memorial Animal Dispensary (BMAD) has been around for almost 25 years. They provide vaccinations as well as treatments for abandoned and injured animals. And the animals they rescue are then up for adoption through adoption drives or by those who are interested in taking a puppy or a kitten home. With a refurbished space, after the terrible effects of Vardha, the shelter is also accepting donations to give these animals a comfortable life until they are adopted. Primarily functioning as a boarding house for dogs when you’re on holiday, Hotel for Dogs also runs an animal shelter. Called Shelter Furever, HFD takes in old, injured and abandoned dogs and provides temporary home till they can be adopted into welcoming families. They have doctors and caretakers looking after the dogs at the shelter and all the dogs have been vaccinated and dewormed. Shelter Furever and HFD also have a service where if dogs are brought to the shelter, they will be vaccinated and neutered by a trained veterinarian. By increasing public awareness of the state of the strays along the Indian streets, Chennai Adoption Drive is helping dogs that are being abused, hurt and injured badly. Part of their mission is to educate the public about Animal Birth Control and change the way the world sees stray dogs. They help this breed of dog get the care they need and then find them good homes. They have regular adoption drives across the city, encouraging people to take in abandoned and homeless dogs and puppies who have been mistreated. Started by Captain Sundaram, a pilot with Indian Airlines, this animal shelter is one of the best in the city. Here, all animals are welcome - hamsters, guinea pigs, pigeons, mice, rabbits, horses, cows, dogs, and cats. The Blue Cross is known for undertaking many animal rescues (they've rescued many cats from wells and trees) and nursing and restoring them to their natural habitat. We recommend you visit this animal shelter to adopt animals and volunteer to help feed and play with them!